Deacon Jack Sullivan received a miraculous cure from a severe spinal stenosis on August 15, 2001 after praying to Cardinal Newman. On July 3, 2009 Pope Benedict announced that this healing was a miracle attributed to the intercession of Blessed John Henry Newman. Pope Benedict beatified Cardinal Newman on September 19, 2010 and Deacon Sullivan was present acting as deacon. On EWTN live Fr. Mitch Pacwa recently interviewed Deacon Jack who explained the various steps in his cure and how it allowed him to continue his studies for the permanent diaconate and subsequent service to God. This cure through the intercession of Blessed Newman leads us to grow in faith in God’s providence and to ask him for other spiritual and physical cures and favors for relatives and friends. 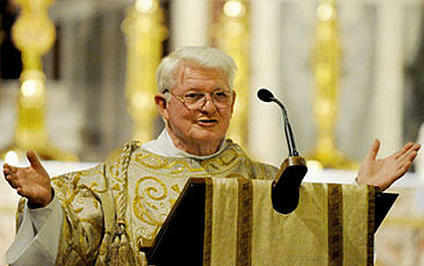 Please visit Deacon Jack Sullivan’s Website for more information.